Comedy Traumatised by a most unorthodox childhood, Amelie retreats into her own private dreamworld in which the sun always shines on Paris, and clouds resemble cute and cuddly animals. Caught up in her own selfless schemes, Amelie fails to notice the romantic overtures of fairground worker Nino. Thankfully, her friends are on hand to orchestrate romantic trysts of their own. 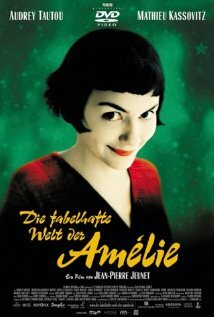 Amelie is not currently showing anywhere.